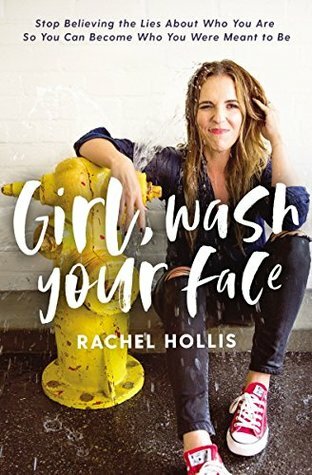 Blurb Description: With wry wit and hard-earned wisdom, popular online personality and founder of TheChicSite.com founder Rachel Hollis helps readers break free from the lies keeping them from the joy-filled and exuberant life they are meant to have. I’ve honestly surprised myself this year by picking up self-help and nonfiction books. I typically don’t read nonfiction at all, but this being in my final year of college and with the big bad world of choices and adulting ahead of me, I’ve needed every book-shaped piece of help I can get. When a lovely human at HarperCollins informed me that a copy of Girl, Wash your Face was coming my way, I was QUITE excited. I’ve been reading this book chapter by chapter over the last two weeks, trying to absorb all the messages within and take them to heart and now that I’m done, I’m going to try writing a review for it. 2. The introduction was STUNNING. The author managed to raise my hopes, make me think and had me EXCITED for what came next. As she spoke about how the only thing standing in between you and everything you want in life is YOU, and spoke about how she was going to break down the lies we’ve been telling ourselves all our life, I genuinely thought that this book would be something that would make me feel and think. 3. I jumped into the first ‘Lie’ almost immediately after, and then put the book down to try and absorb it and then, the next day, picked it up again to dive into the next lie. 4. Now, at the end I sincerely feel that Girl, Wash Your Face was this rushed book, attempting to dissemble years’ worth of self-inflicted damage in just a few pages. While the opening chapter left me inspired, the rest of the book was exactly the opposite. 5. If this book was supposed to make you believe that YOU can be everything you want, I’m not sure it did. The phrase, “easier said than done” came to my mind more times than I can count, because through the rushed explanations that were more statements than explanations I just didn’t believe, after a while. 6. I did take away one thing from the book, at least partially, though, and that is that only WE can control what we make of our lives. Would I recommend this book? Like I said before, self-help books are so personal and I can’t say that a book that didn’t help me won’t help you but I’d only recommend it if you’ve read the synopsis and think it’s really something you need in your life. 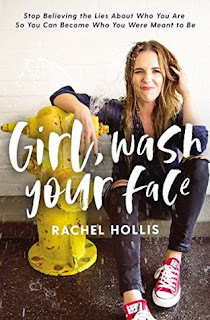 Rachel Hollis is a bestselling author, TV personality, in-demand speaker, and founder and CEO of Chic Media, the foremost authority on premium digital content for women. Named one of Inc. Magazine’s "Top 30 Entrepreneurs Under 30,” Rachel uses her infectious energy to empower women to take control of their lives and pursue their passions without fear. Motivational, inspirational, and always approachable, Rachel’s tell-it-like-it-is attitude is a refreshing approach that allows her to authentically connect with millions of women around the world. Rachel has worked with top brands including Walmart, Disney Junior, JCPenney, Rubbermaid, Sprint, and Keurig to create innovative and compelling content for Chic Media’s award-winning women’s lifestyle blog. Rachel is the author of the bestselling Girls Series, including Party Girl, Sweet Girl and Smart Girl, as well as a cookbook, Upscale Downhome. Rachel resides in Los Angeles with her husband and four children. What are some of the best non-fiction books you've ever read that you would recommend to me?